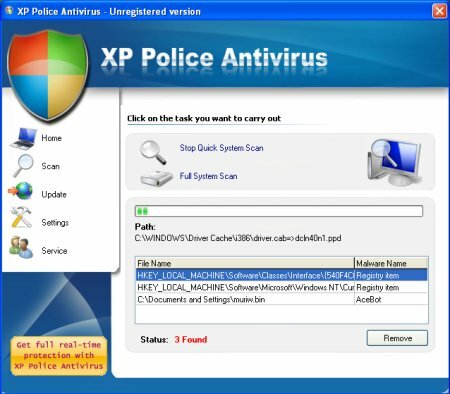 XP Police Antivirus is a new rogue antivirus/antispyware software that uses security warnings from your Windows taskbar and a fake Windows Security Center popups to trick you into thinking your computer is infected. During installation, XP Police Antivirus configures itself to run automatically every time, when you start your computer. Once running, XP Police Antivirus will scan your computer and reports false or exaggerated system security threats on the PC to trick you to buy the paid version of the rogue, in order to remove the potential and reported threats. While the XP Police Antivirus is running you may see false security alerts such as the following. A piece of malicious code was found in your system which can replicate itself if no action is taken. Click here to have your system cleaned by XP Police Antivirus. These fake alerts may drastically slow the performance of your computer. Please ignore these alerts. Use the free instructions below to remove XP Police Antivirus and any associated malware from your computer. Use the following instructions to remove XP Police Antivirus (Uninstall instructions). 1. Remove XP Police Antivirus registry entries and files. You will be asked Are you sure you want to execute the current script?. Click Yes. 2. Remove XP Police Antivirus associated malware. XP Police Antivirus creates the following files and folders. alokpatel, xp police antivirus is rogue antivirus program. 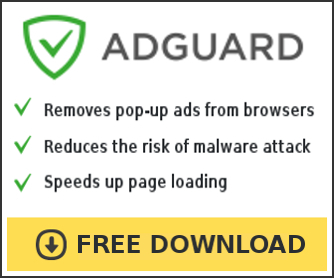 If you need free antivirus/antispyware then clickhere. Thank you very much for this post. I had deleted all of the programfiles files, but you helped me find that horrible BHO that kept me from being able to run my IE!